As temperatures are rising and the sun is (finally!) shining in the Netherlands, everyone is gearing up for a summer full of al fresco dining with family and friends. And as much as I enjoy catching up with my loved ones in the garden, I’m not a huge fan of greasy pork sausages and fatty potato salads that are often served at barbecues. So I drew some inspiration from my favourite food blogs and found some amazing recipes that are perfect for the grill. They are easy to make, fresh and tasty, and above all: 100% guilt free! Enjoy! 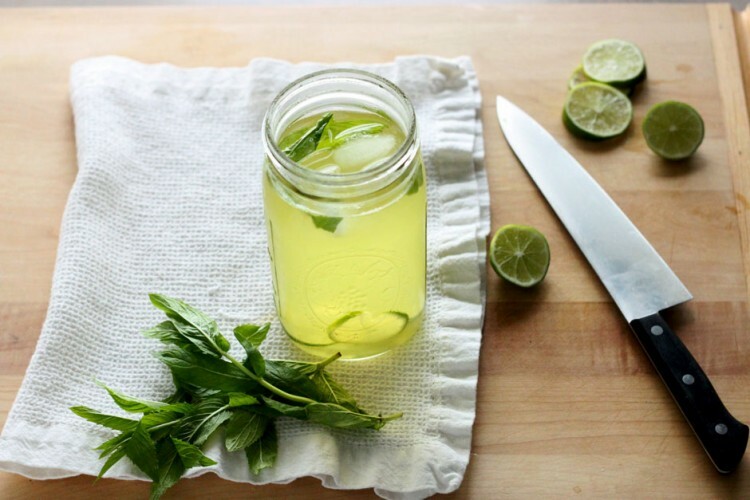 Real – deal Iced Tea from The First Mess is the perfect refreshment on warm Summer nights. 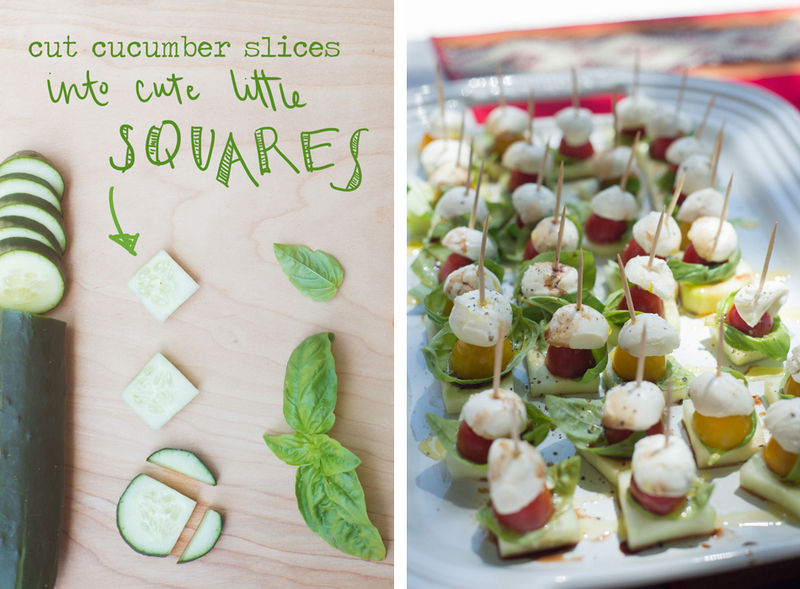 These Cucumber Caprese Bites from The Forest Feast make a cute appetizer! 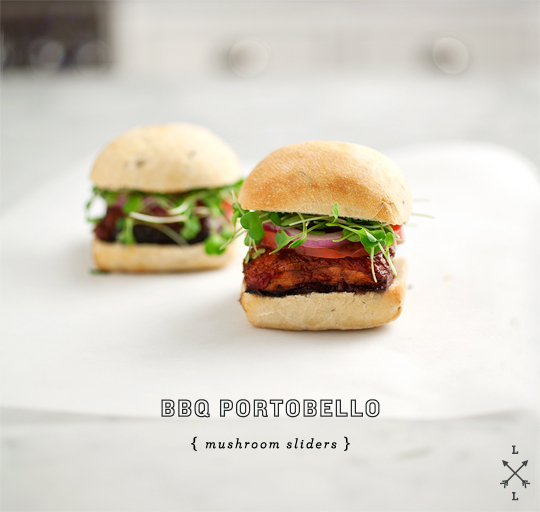 Mmm… BBQ Portobello Mushroom Sliders from Love and Lemons. 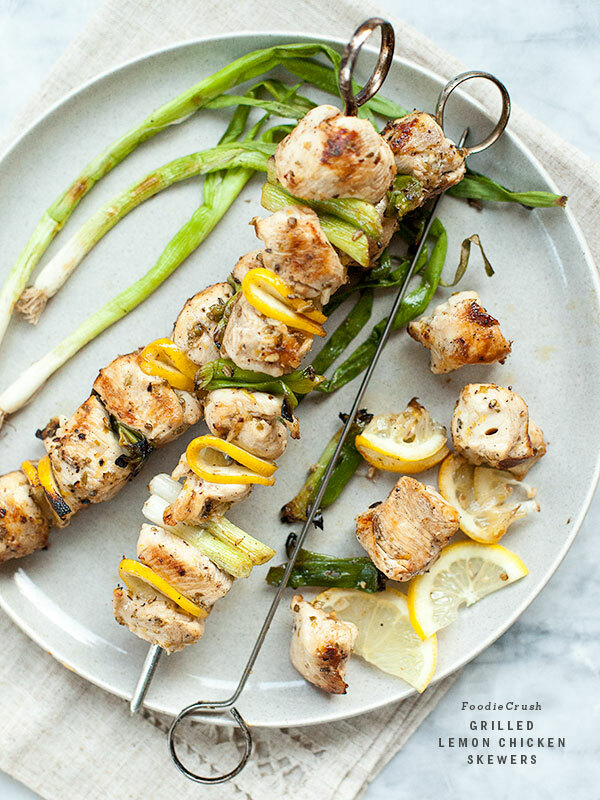 Grilled Lemon Chicken Skewers from Foodie Crush. 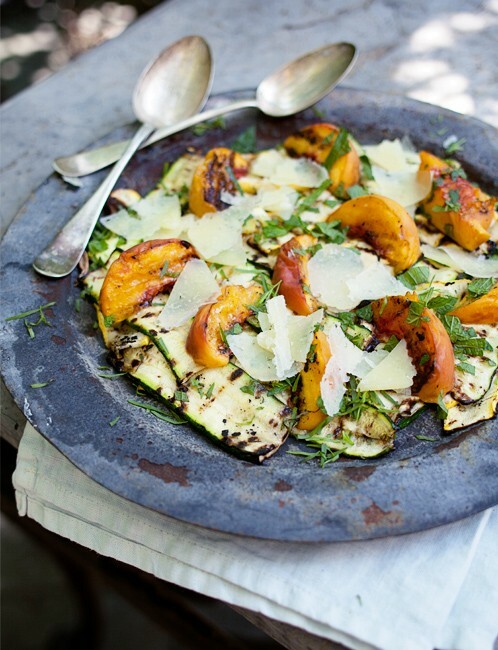 A side dish with main course potential: Grilled Summer Squash Peach Salad with Manchego from Roost Blog. 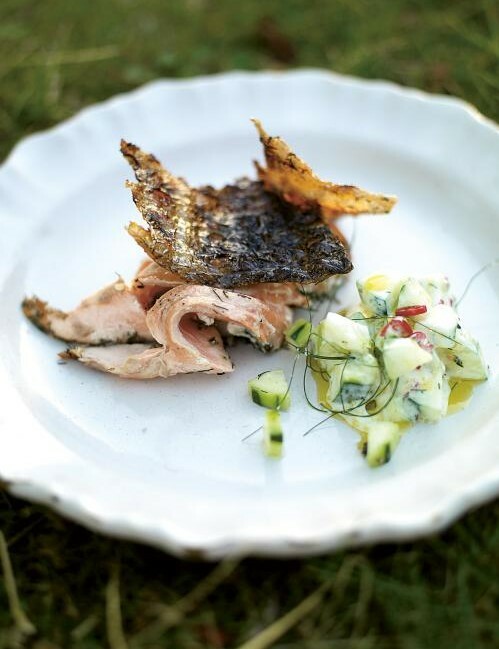 Boost your Omega 3’s with a Crispy Barbecue Side of Salmon with Cucumber Yoghurt Sauce by Jamie Oliver. 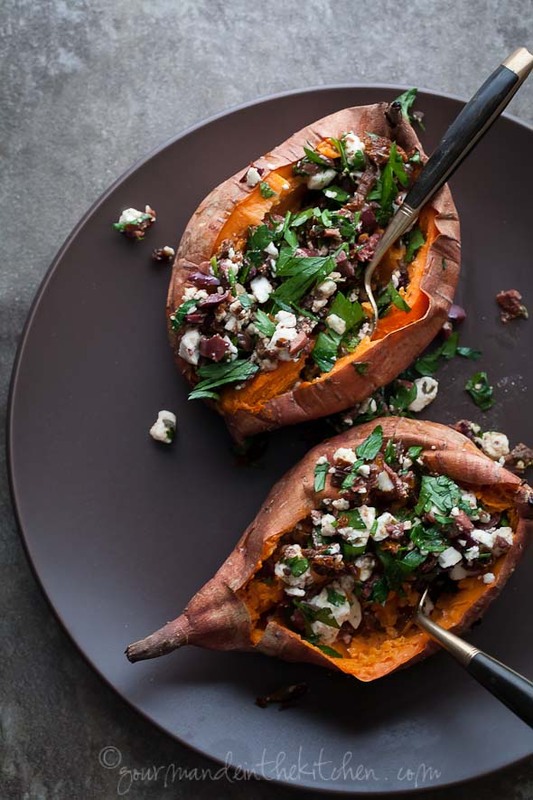 Baked Sweet Potatoes stuffed with Feta, Olives and Sun-Dried Tomatoes by Gourmande in the Kitchen. For the veggie lovers: Honey Mustard Veggie Kebabs from Naturally Ella. 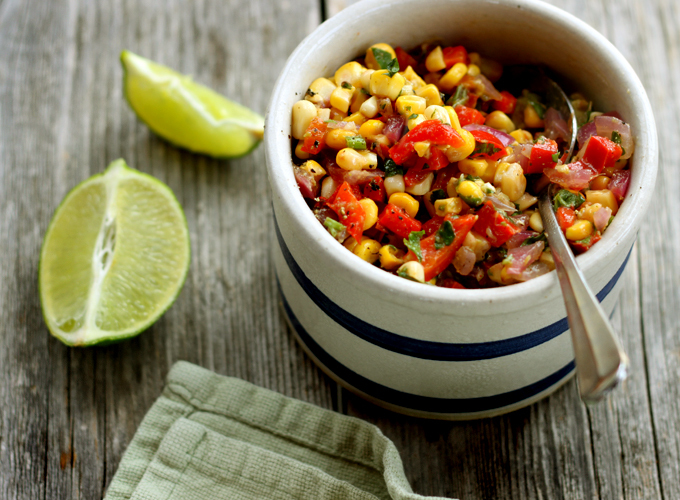 Grilled Corn Salsa from My New Roots. 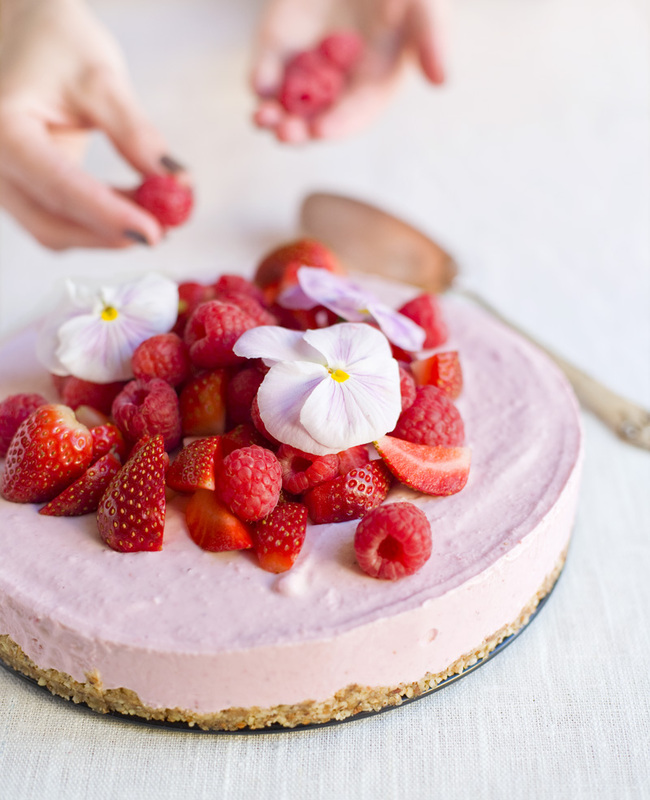 And if there’s still room for dessert, try the Frozen Pink Cheesecake from Green Kitchen Stories! 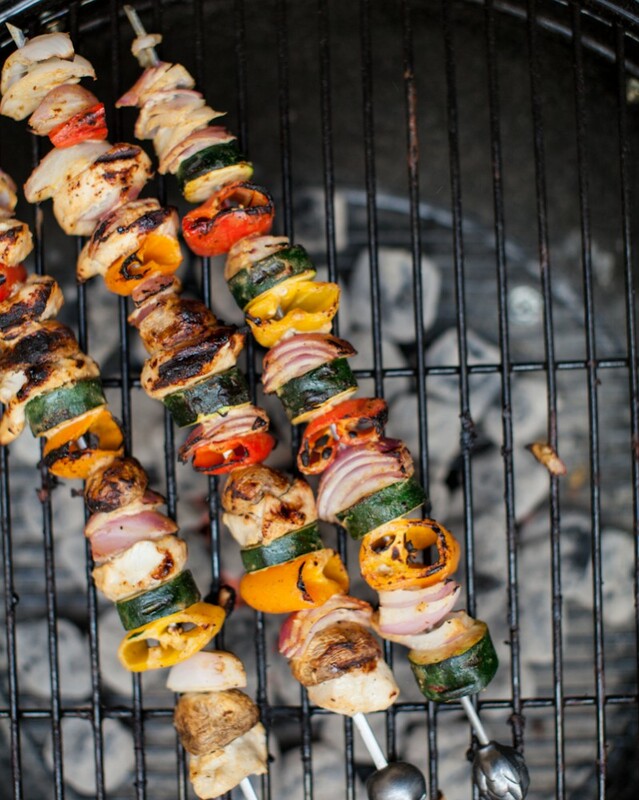 What healthy BBQ dishes do you like to make? 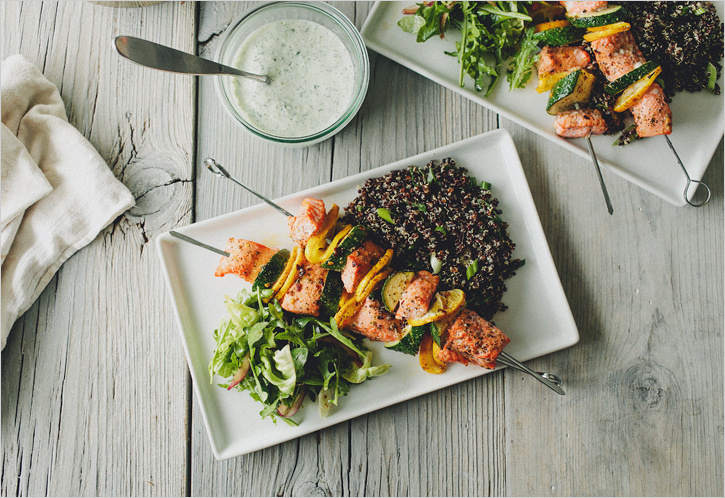 Tell me your best, wholesome Summer dishes in the comments!